the SM3-R Camera Shoe Shockmount from RØDE is a suspension shockmount with a camera shoe adapter for mounting various RØDE microphones onto a camera using a standard hot/cold shoe mount. 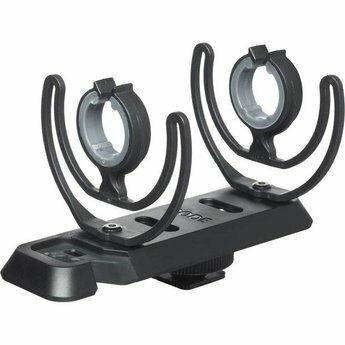 Featuring four possible mounting points to suit the complete range of compatible RØDE on-camera microphones, the shock mount also has an integrated cable management clip. 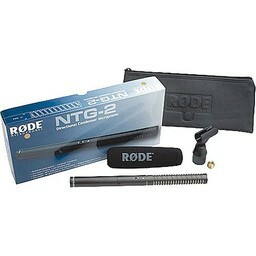 It is compatible with the following microphones: M5, NT5, NT55, NTG1, NTG2, NTG3, NTG4, and NTG4+.